Residents of Gush Etzion town slated for demolition call on supporters to join them ahead of planned evacuation. Residents of the embattled town of Netiv Avot in Gush Etzion south of Jerusalem are calling on supporters to make their way to the community as soon as possible ahead of the planned evacuation of residents and demolition of their homes. In 2016, the Supreme Court ordered that 17 buildings in the small Gush Etzion town of Netiv Avot be demolished, arguing that the homes were built “without any zoning permit” and located in part on land claimed by private owners. Critics of the court’s ruling dismiss the claims of private ownership, saying they have not been verified or officially registered. Representatives of the community, located adjacent to the town of Elazar, offered to remove the portions of six houses resting on the disputed land – an offer later taken up by the state but refused by the Supreme Court, which ruled that all 17 buildings must be completely demolished. 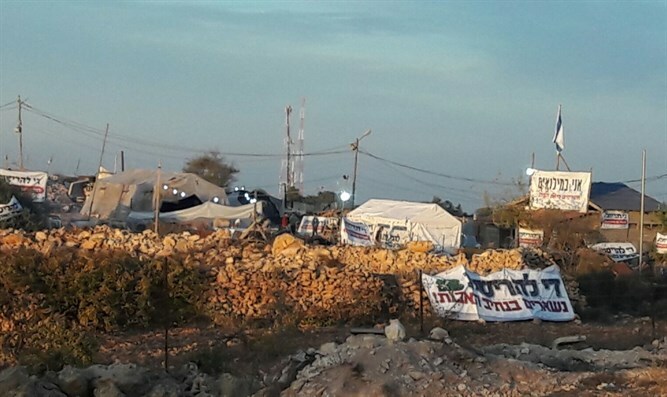 Speaking with Arutz Sheva Monday, one of the founders of Netiv Avot, Meni Gertler, blasted the Supreme Court’s repeated rulings concerning the town, and called on supporters to make their way there as soon as possible to protest the first set of demolitions. Gertler noted that while the offer by residents of Netiv Avot to remove the portions of their homes located on disputed land was turned down, authorities had agreed to conduct only a partial demolition of the home of Nimer Mahmoud Ahmed Aljamal, the 37-year-old terrorist who murdered three Israeli security officials in a terror attack in Har Adar.